Court reporters train extensively to be able to quickly and accurately capture every spoken word on the legal record. They are essential for legal depositions, hearings, and trials, but the legal setting isn’t the only one in which professional court reporting services are helpful. In the Palo Alto, California area, court reporters often work within the corporate setting. If your executives still designate someone to take minutes by hand at the start of each meeting, it’s clearly time for an upgrade. The work you accomplish at each meeting is too important to risk losing it. Professional court reporters can capture each presentation, suggestion, and debate without missing a word. You’ll be able to look back on a transcript to improve your understanding of the issues, identify matters that require further attention, and recognize individual employees for their contributions. Industry conferences, both small and large, can benefit from the presence of a skilled court reporter. Industry conferences can be chaotic events, and the sheer volume of information exchanged can test a person’s memory. Having a court reporter present will give you a reliable, written record of your conference. As an added bonus, you’ll be able to share this record with individuals who were unable to attend the conference. Negotiations can be tough, especially if your company is trying to get a better price from a vendor or initiate sales in a new market. Negotiations can also be lengthy, and it’s easy to lose track of important information. 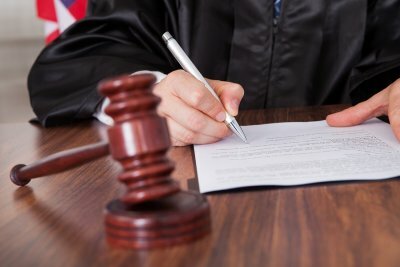 With a court reporter present to keep an official record, tentative compromises and proposals cannot be disputed later on. It’s also essential to have a written record of all agreements so that a contract can be drafted later on. Court reporters can assist your company with two kinds of interviews: Recruitment and informational. No matter how talented your human resources department is, it’s always helpful to have a record of a job candidate’s responses during his or her interview. This is particularly true when it’s tough to choose between a few well-qualified candidates. Media outlets and authors can also rely on court reporters to capture the content of an interview. The full interview may be published as is, or the record can inform the final published work. Discovery is the investigative phase of preparing for a lawsuit. 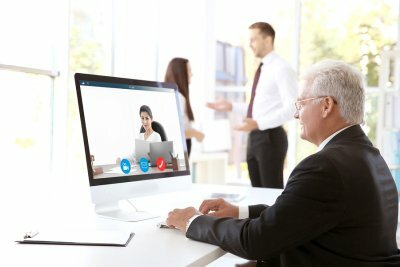 It takes place before a trial begins and outside of the courtroom, usually involving depositions that can occur face-to-face or remotely with video conferencing technology . It’s common for clients to have questions about what happens during discovery and what they will need to reveal about their case. Here are the answers to some common questions about the discovery process. What information is shared during discovery? Generally, any information that is relevant to the case, even if only tangentially, has to be provided to the opposing side during discovery, if it is requested. Only information that is legally protected or privileged is exempted. This information may include anything a witness saw, heard, or said that is relevant to the case; the identity of anyone who may have additional information about the case; and any documents that relate to the dispute. Only information that was obtained through privileged conversations, such as between husband and wife or lawyer and client, is excluded from discovery. In some cases, information that violates someone’s privacy, such as information about health or sexual orientation, is exempt as well. Sometimes, the court may require that information be disclosed during discovery but may bar the other side from sharing it and leave it out of the court record to protect confidential or private information. How is information obtained during discovery? Depositions are part of most discovery processes. They can happen in a central location in person, or they may be conducted via video conferencing. A court reporter will record the deposition as the attorneys question witnesses to obtain information. Interrogatories are similar to depositions, except that the questions are written, but answers are still given under oath. The attorneys may also ask for specific evidence and request admission of certain facts so that the two sides don’t need to argue about basic, agreed-upon information. Pulone Reporting Services can make your discovery process easier with conference room rentals, legal transcription, and court reporting in Palo Alto, California and the Silicon Valley area. To schedule one of our services, please call (408) 280-1252. Court reporters provide legal reporting and transcriptions of depositions and other important legal proceedings and business meetings. When working with a legal reporting service in Silicon Valley , it’s important to keep a few best practices in mind to make the reporting and transcription process easier for you and any court reporters handling your case. Your legal reporting service should be kept up to date on any changes to your schedule or the location where you plan to hold your deposition. Considering your court reporter as part of your legal or business team will ensure the reporter arrives when and where needed to begin the reporting process on schedule and make the most of your time. Additionally, let your legal reporting service know if you plan to continue the deposition after normal business hours or may need to skip meals so your reporter can plan for those conditions and arrive prepared. Court reporters provide reporting services in a variety of settings and for a range of different purposes. 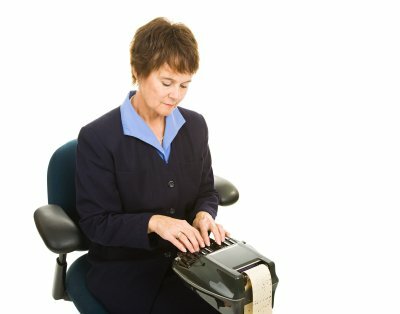 Even though everyone in the room may be familiar with certain legal, medical, or other field-specific knowledge and terms, your court reporter may need to ask for clarification or spellings to ensure the information discussed is recorded properly. In most cases, your professional reporter will wait for a break or until the end of the day to check this information with you, so remember to keep yourself available for questions if necessary. Once your deposition or meeting is complete , your court reporter will ask you how many transcripts you’ll need, as well as other details such as your preferred format and delivery method. Determining your preferences ahead of time will reduce the time it takes to hold this discussion. This ensures receipt of exactly the documents you need for the greatest efficiency without prolonging the amount of time you or your professional reporter are kept from other important commitments after your deposition has concluded. Can an Interpreting Service Boost Your Bottom Line? In the corporate world, communication is king. Expanding your company overseas might seem like a smart move, but if your executives can’t communicate clearly with their points of contact abroad, then your business deals can easily become financially disadvantageous or they may fall apart entirely. An interpreting service based in Silicon Valley could be the key to getting deals done with a minimum of fuss. Before solidifying your plans to expand your business overseas, you’ll need a reliable interpreter who can be present at meetings and video conferences to ensure that each party’s message is clearly communicated . Even if your company already has a foothold in the global economy, hiring a professional interpreter could be the key to boosting sales. Many established companies end up losing their competitive advantage overseas because their executives and lower level employees fail to communicate appropriately. With an interpreting service, your company’s message will not only be clear, but also culturally sensitive. For attorneys, preparing clients for depositions can be nerve-wracking because many clients will give speculative answers. While even speculative answers could be truthful, your client needs to understand that every word he or she says while under oath will be recorded by a court reporter . Long before you meet your client at a conference room near San Jose, CA, for the deposition, it’s important to ensure that he or she understands the importance of truthfulness while the professional reporter is creating the transcript. For some helpful hints on discussing potential deposition questions with your client, watch this video presented by a personal injury attorney. He gives some advice on how you can explain to your client that anything recorded by the court reporter that is speculative in nature could potentially harm your case later. Although many lawyers have yet to make extensive use of remote depositions , there is no question that they are playing an increasingly prominent role in the legal field. In fact, some judges have ruled that in order to meet the ethical duty of competence, it’s essential for attorneys to become familiar with teleconferencing, video conferencing, and document digitizing in San Jose, CA. That said, holding a remote deposition does present unique challenges. After becoming accustomed to the procedures; however, lawyers are likely to find that the benefits of remote depositions far outweigh the drawbacks. One major concern with remote depositions is the possibility of technical glitches. Many lawyers try to avoid remote depositions at all costs because they’ve had bad experiences with “scratchy” audio quality during teleconferences or poor Internet connectivity during Web conferences. Another common technical glitch is the possible incompatibility of the conferencing platform with various devices. These problems can quickly turn a carefully planned deposition into a complete fiasco. Fortunately, the video conferencing solutions for these problems are simple: Contract with professional court reporting services. 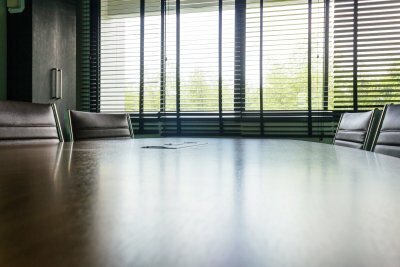 With a conference room rental, you can receive sophisticated equipment right at your fingertips. The equipment will already be set up for your use and it’ll provide you with broadcast-quality video conferencing. You can also rest assured that the parties involved will be able to connect from any location with any device. Another common objection lawyers raise when confronting the possibility of remote depositions is that the witnesses may provide nonverbal responses and cues. Whether or not a witness is being deposed at a remote location, nonverbal responses may be an issue. The solution is the same for remote depositions as it is for in-person depositions. Provide the witness with clear, comprehensive instructions before the questioning begins. Some witnesses may need a few reminders to give their answers verbally instead of nodding or shaking their heads. 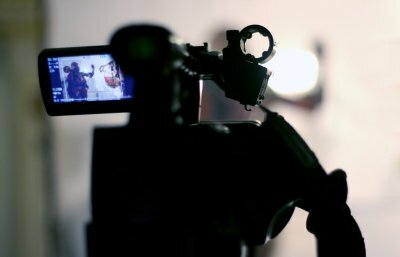 Similarly, some lawyers may be concerned that the opposing counsel might be inappropriately giving their witnesses nonverbal cues from behind the camera. The simple solution for this problem is to have multiple cameras capture different views of the room. Living in Silicon Valley, it is clear to see how technology has made an impact on daily life for any individual. Within the legal industry, technology has completely transformed the profession of court reporting, which is an essential part of the process for courtroom hearings, depositions, interviews, and corporate meetings. Therefore, you will want to know that the company your choose for court reporting services in San Jose is up-to-date with the latest industry technologies to streamline the process of conferencing and reporting in any legal setting. Below, you can see how the iPhone has impacted court reporting in the modern age. Because iPhones and other smartphones have made it possible for anyone to have a computing device right in his or her pocket, an attorney or client can be reached from virtually anywhere in the world. That means that there is greater flexibility in scheduling meetings and court dates that might otherwise be difficult to coordinate in person. 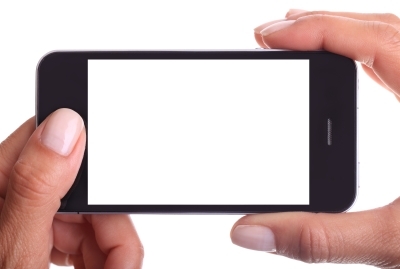 With the advent of the iPhone has come a whirlwind of apps, competing technologies, and videoconferencing tools. 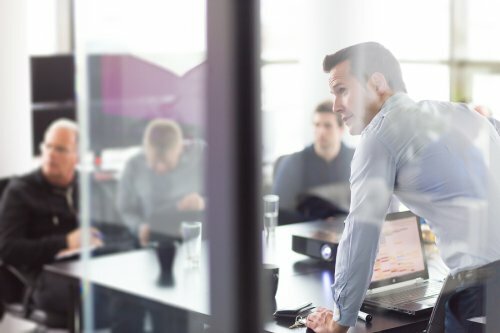 This wide range of available technologies has created an expectation from clients that a seamless videoconferencing experience will be made available across all different platforms. By choosing an experienced and tech-savvy court reporting service, you can find the right solutions to integrate into technologies that you have readily available, including your iPhone. Not only does the iPhone allow conference participants to call in from any location, but it has also created the real-time availability of court reporting transcripts. This can add convenience for attorneys sitting in on depositions with functions like pausing the feed, highlighting important sections, and creating notes on relevant lines. These functions allow for on-demand meetings, which may streamline a case in which various parties are not able to be in the same location.